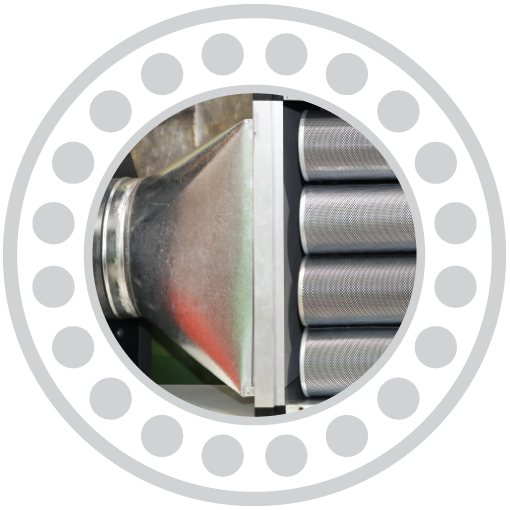 The principle of filtration can be applied to air, oil and water and we can supply parts and offer advice in each application. Well maintained and efficient industrial filtration systems can increase efficiencies and performance and can assist in reducing costly breakdowns. Air distribution and dust extraction systems and fabric ducting can be easily serviced, allowing you more control. Air socks can be produced with anti-bacterial properties for specialist applications. We are able to support industrial and commercial markets in a range of industries and sectors that include food and beverage, mechanical and machinery, energy (both traditional and alternative) mining, quarrying and pharmaceutical. We work with a wide selection of leading suppliers including Camfil, Cooper, Delta, Filtertechnik, Freudenberg, GE, Mann and Nilfisk – giving us complete flexibility to assist with all your filtration maintenance and overhaul requirements.